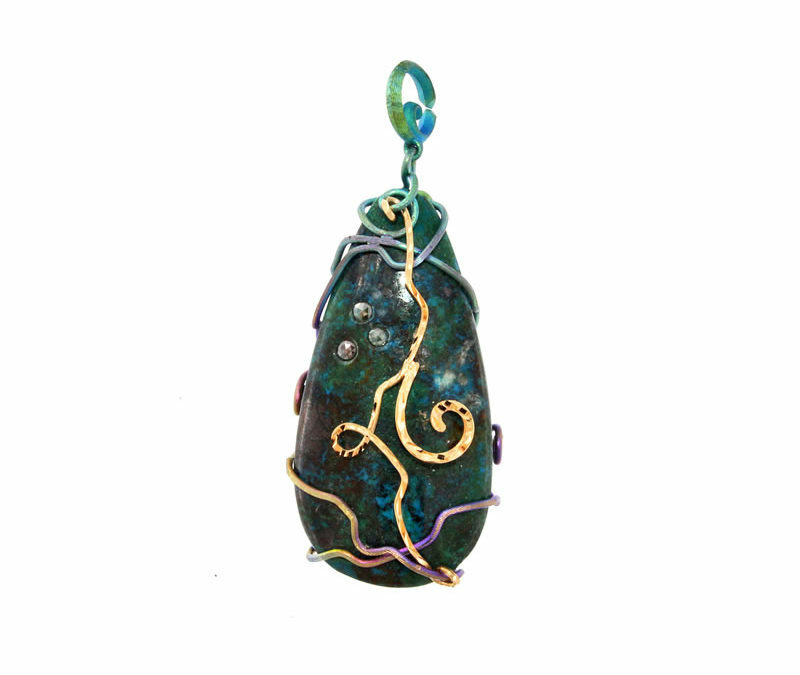 Titanium and gold wire pendant set with agate geode and a gold spiral with diamonds inside. 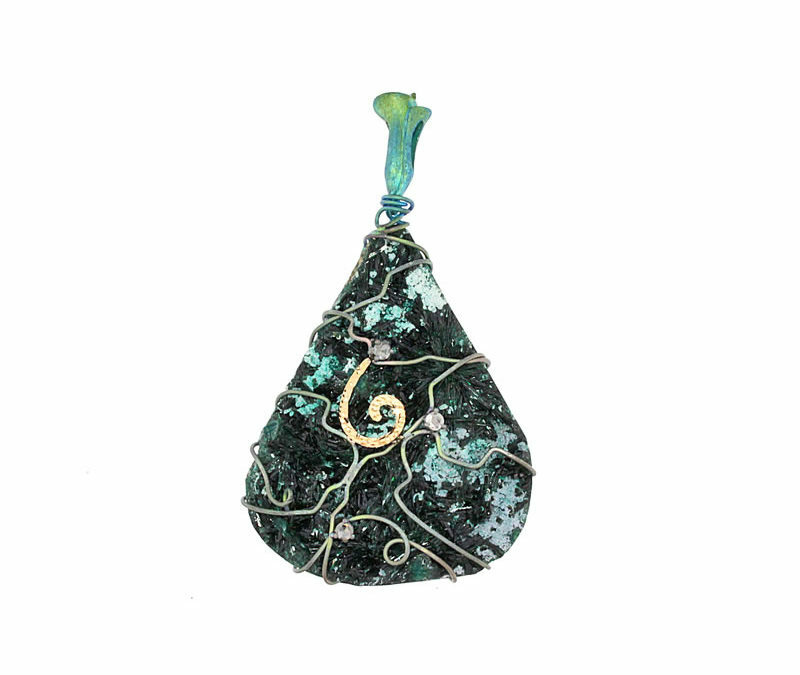 Golden green finish pendant with intertwined titanium wires and pink 18 Kt gold curls set with chrysocolla and rose-cut diamonds. 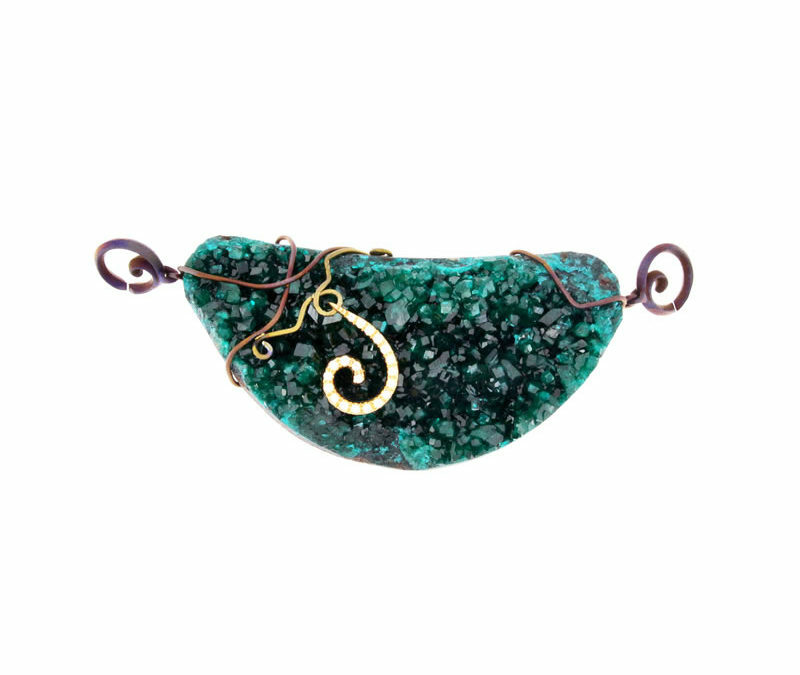 Golden green finish intertwined titanium wire pendant set with uncut ammolite on cast titanium base embellished by 18 Kt rose gold wires and diamonds. 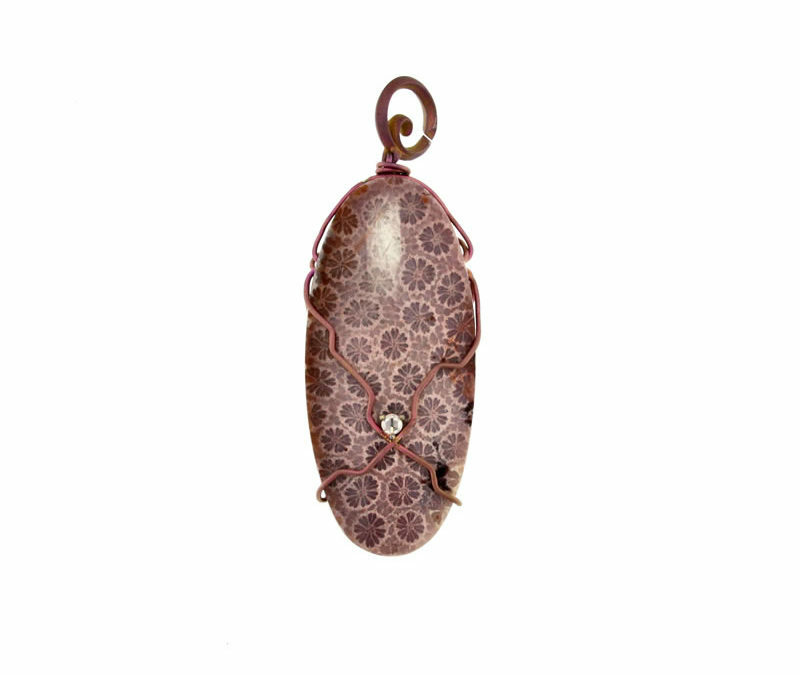 Pink finish pendant with intertwining titanium wires, each set with fossil coral and rose-cut diamond. 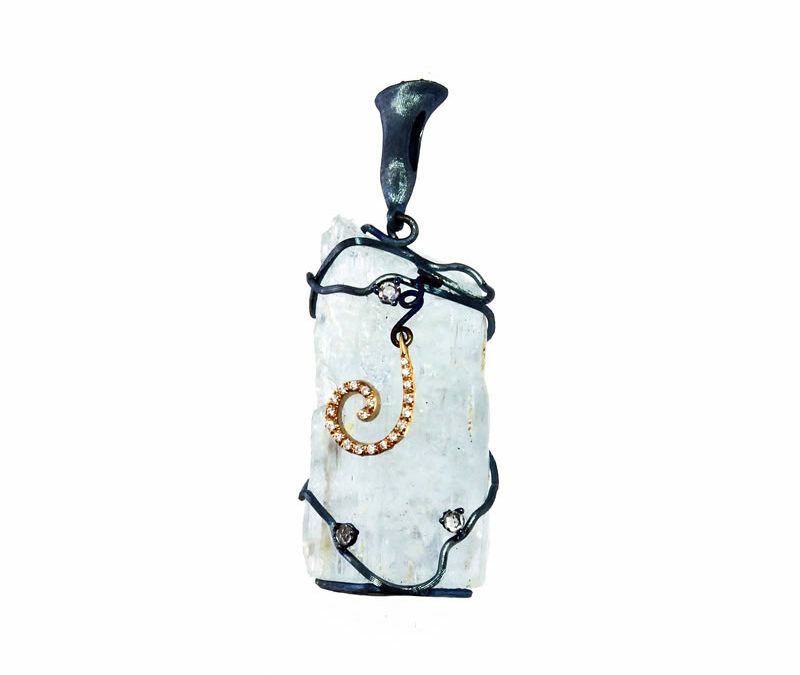 Blue finish pendant with titanium wires set with uncut aquamarine and suspended rose gold spiral with diamonds. 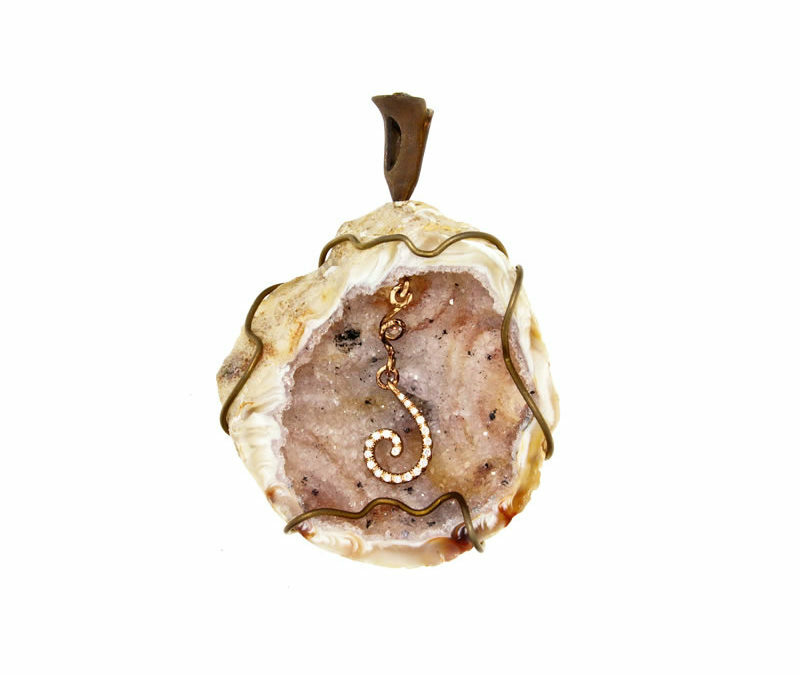 Amber finish pendant with intertwined titanium wires set with uncut diopstase mineral and suspended rose gold spirals and diamonds.